Spacing: 18- 20 inches apart. 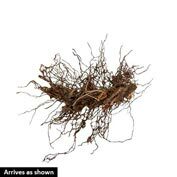 Depth: Plant with the crown of plant 1 inch below soil surface. Foliage: Lacy, deeply cut fronds. 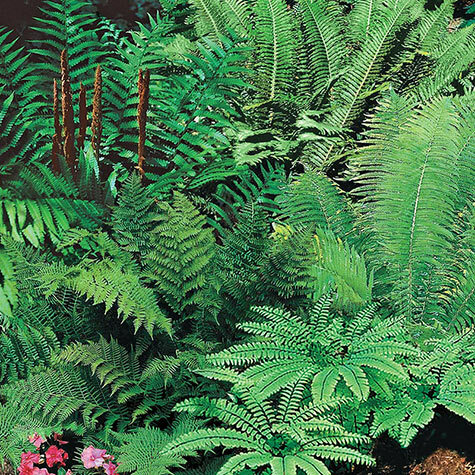 Various types of fern foliage. Soil Requirements: Organically rich, moisture retentive soil. Comments: Various shades of green make this an interesting border mix that combines well with other shade-loving perennials. Adds color and texture to shaded areas. 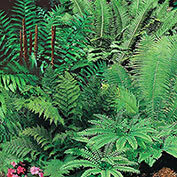 Mix includes various types of ferns.